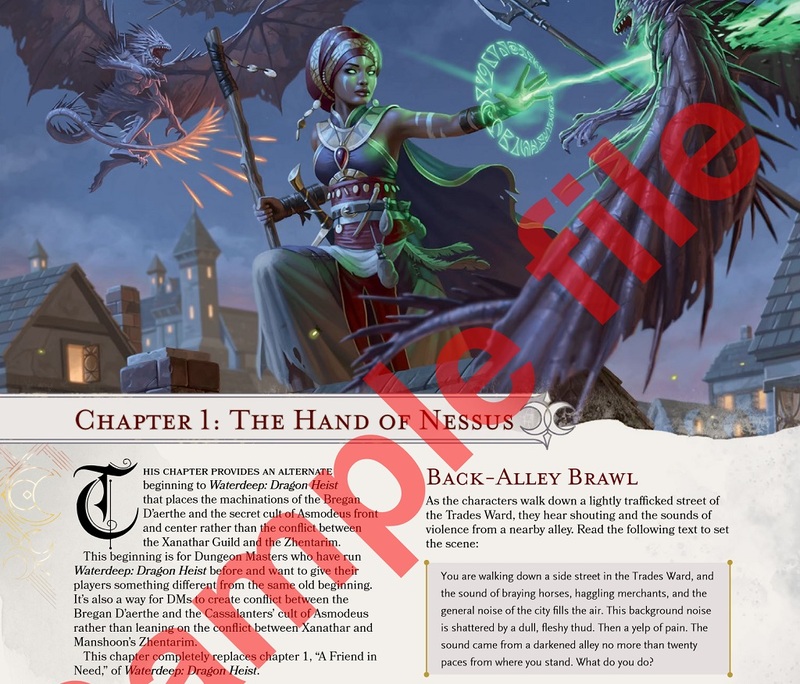 A new supplement from some of the writers of Waterdeep: Dragon Heist and Tomb of Annihilation is out on the DM’s Guild. 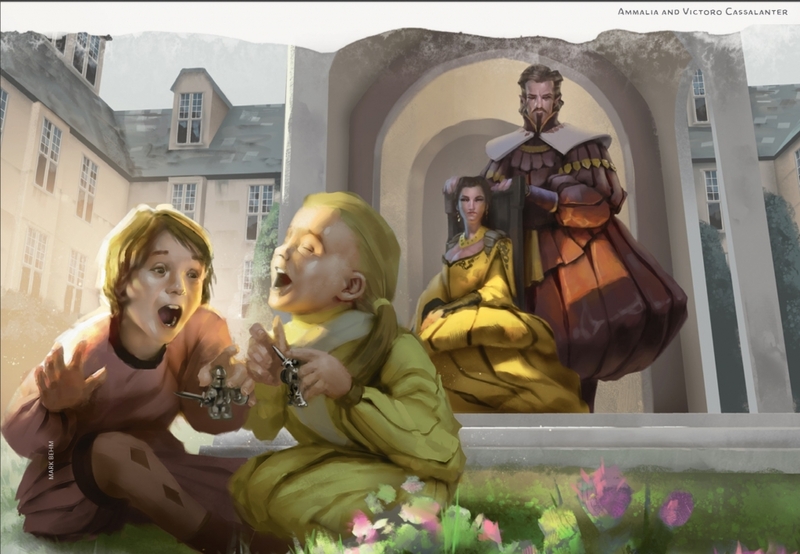 It offers a new way for players to add replayability to Waterdeep: Dragon Heist with new villains, new mysteries, and new encounters for all seasons. Waterdeep: Dragon Heist was the D&D adventure that pit players against one of four different (high-level) villains in a race to try and recover a lost hoard of hidden gold, embezzled from the treasury of Waterdeep and guarded by a gold dragon of immense size and power. Its high-level antics against low-level adventurers meant that parties had to be clever, no matter which of the villains they were facing. That’s the other thing about Dragon Heist, it gave players free reign over Waterdeep, including a parcel of land in the City of Splendors, and was designed with some replayability in mind. In theory, a group could have a different take on Dragon Heist with new characters and new villains each time. And now, thanks to a module written by Jameses Haeck and Introcaso, whom you might recognize as authors from the original adventure, and Will Doyle of Tomb of Annihilation fame, adventurers will find the adventure full of fresh faces and new encounters. Dragon Heist: Forgotten Tales adds a lot to the adventure–beyond just encounters, it changes up the framing conflicts, and offers new payoffs that include some actual Heists. No joke, Chapter 4 culminates in a good old fashioned bank heist. But even as early as Chapter 1, you’ll find a new lens on the module. 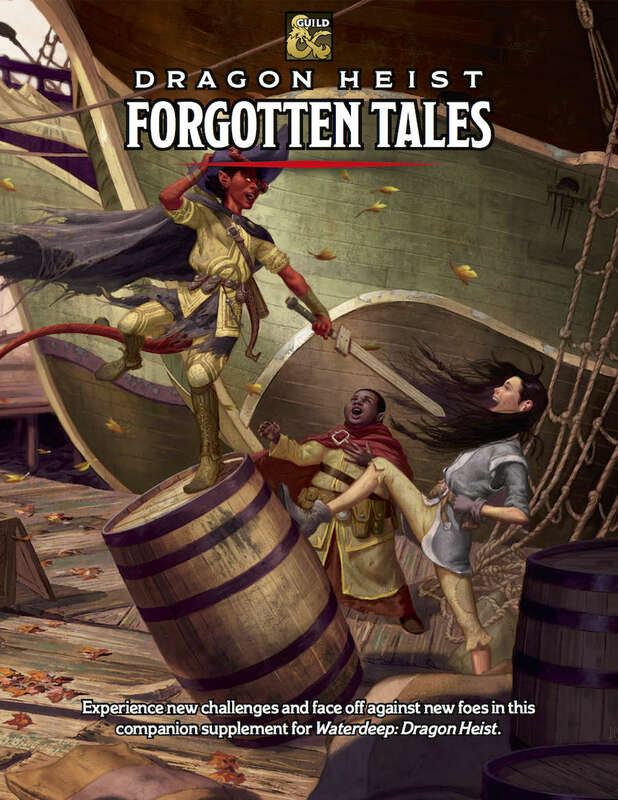 Forgotten Tales has options that let you focus the conflict between two of the other major villains, which means bringing in Cultists of Asmodeus and the Bregan D’aerthe–Jarlaxle’s friends–instead of the usual Xanathar Guild vs. Zhentarim. If you’ve already played Dragon Heist, Forgotten Tales offers you some new corners to explore. And if you’ve not tried the original module yet, this is a fantastic way to customize your own experience. Which leads me to the interesting thing about this module–and the DM’s guild in general. It puts me in mind of another fantasy adventure, and helped reframe what exactly the DMs Guild feels like. If you’ve ever played Skyrim–or any Elder Scrolls game, then you know that the best part of the game is finding the mods that make it your own. And this is true with D&D as well–and it just feels so much more explicit. The DMs Guild is very much like the Nexus Mod Forums, where you find other people’s hard work at customizing the game on display. Custom classes and races, new starting areas–it’s all the same, really. And this is the first time I’ve seen a module quite like this–though I wouldn’t be surprised if there are others. As various games inform each other and blend together, we’re starting to see some interesting things–I’m very excited to see what other mods we’ll get out of this kind of practice. For now, though, take a look at Forgotten Tales! Welcome back to Waterdeep! Dragon Heist: Forgotten Tales is a supplement that expands the replayability of Waterdeep: Dragon Heist by providing new content for the adventure. The multiple villains and seasons in Waterdeep: Dragon Heist make it an adventure that must be played multiple times to experience all the content. Dragon Heist: Forgotten Talesprovides new challenges and story to go along with the variable elements of the original adventure to allow players and Dungeon Masters who have experienced Waterdeep: Dragon Heist to enjoy a fresh tale on a second play-through. This supplement requires Waterdeep: Dragon Heist to use.